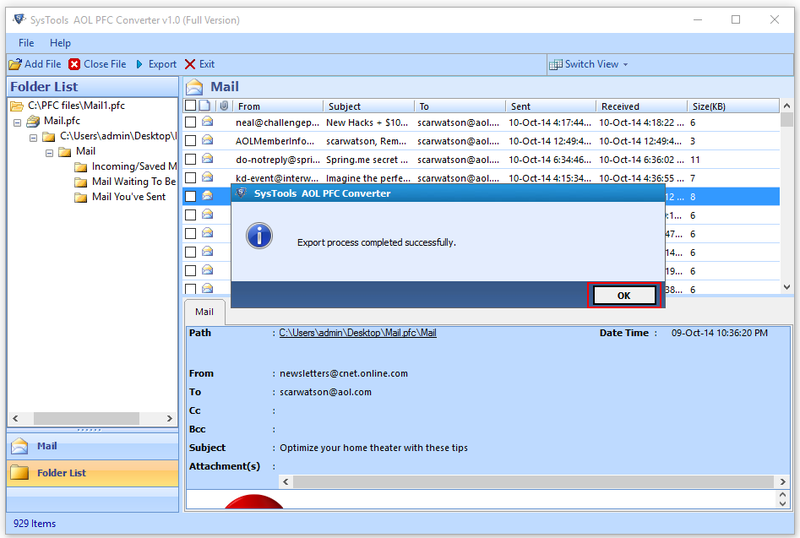 Enable users to access AOL email in Apple Mail, WLM, Thunderbird, etc. The application smartly converts messages from AOL exported database file i.e., PFC to EML format. This will provide users facility to open AOL emails in all email clients, which supports EML file. 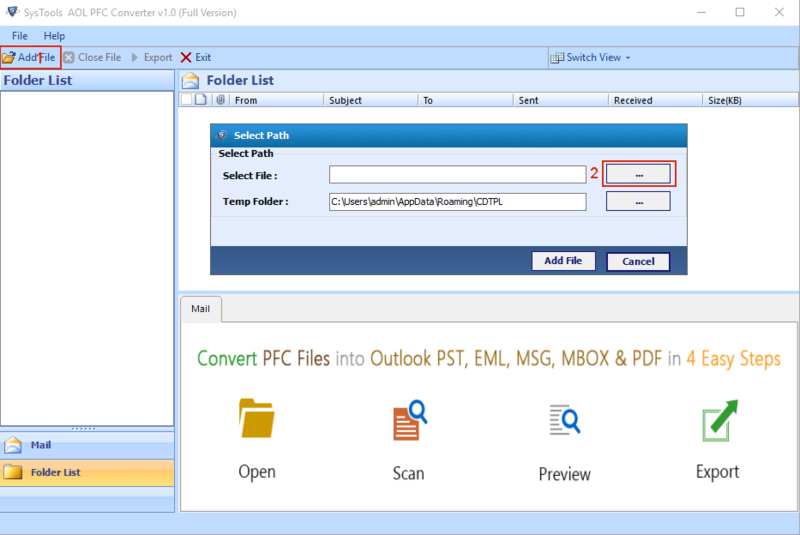 AOL PFC to EML converter is having an inbuilt feature of equipping emails preview. One can view the message body, header attributes, and attachments for accuracy of the further conversion. 2. Email check / uncheck filtering. 3. 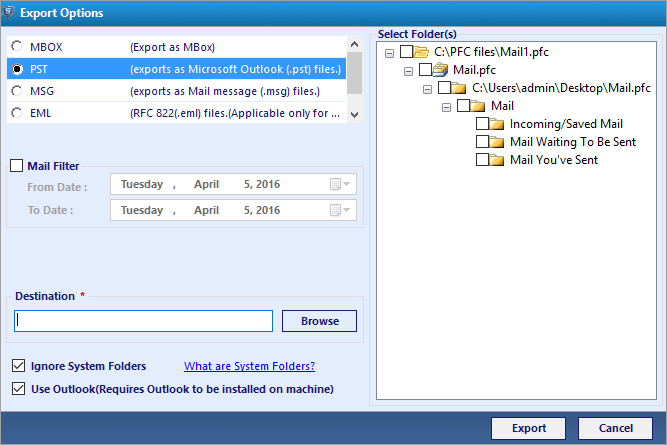 Export emails of only desired mailbox folder. 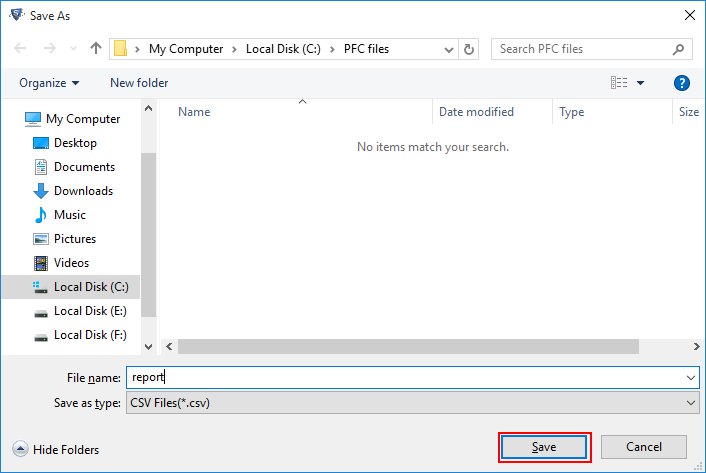 PFC file to EML migrator tool provides conversion in a way that it keeps data intact throughout. Apart from this, unlimited number of files of infinite size can be exported with help this utility. Clients can save their file in the desired naming format. 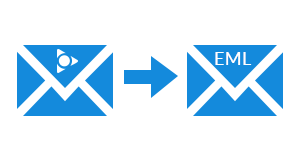 Software offers several choices to save an EML file in wanted naming convention. There are 5 + options provided for this feature. 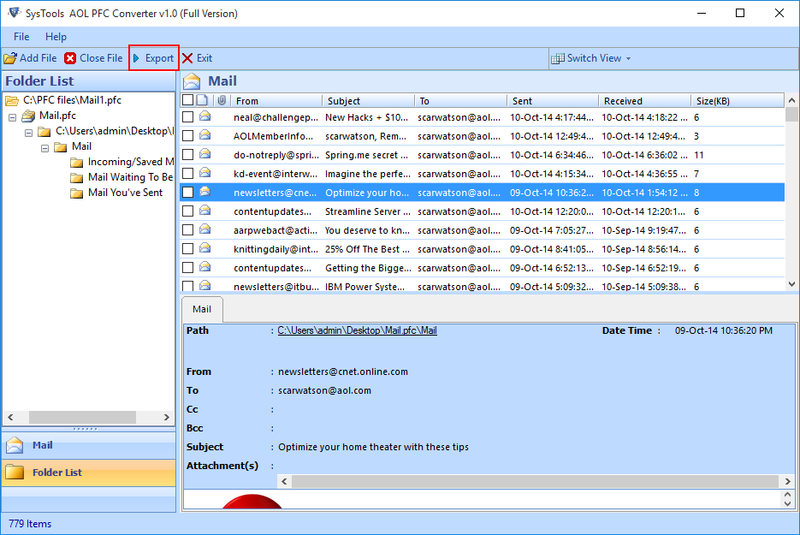 The tool is smart enough to work with any edition of AOL email client, involving the latest one. Discussing about the Windows compatibility then, migrator is supportable on all available Windows versions. 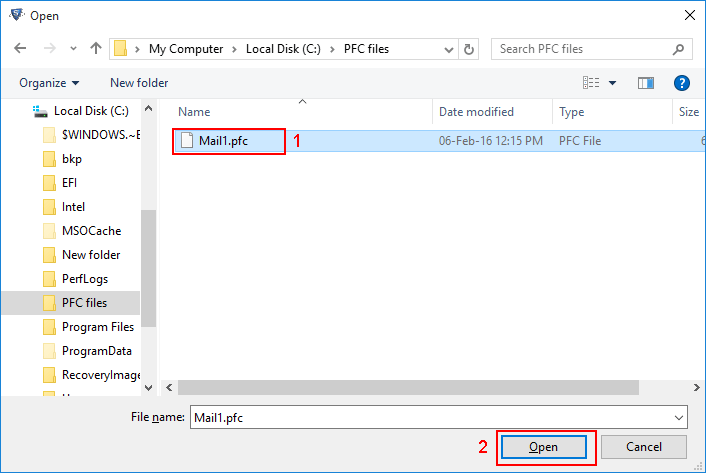 Is there any PFC file size limitation imposed in your product? No, our AOL to EML converter provides facility to end users of browsing unlimited size of PFC file. Will I be able to export AOL emails to EML without AOL client desktop installation? Yes, our software is an independent application, which can easily be exported without AOL or any other email client installation. Does your software requires AOL account credentials for exporting PFC emails to EML? No, only PFC file is need to work with our software. There is no need of any account credentials for the utility working. 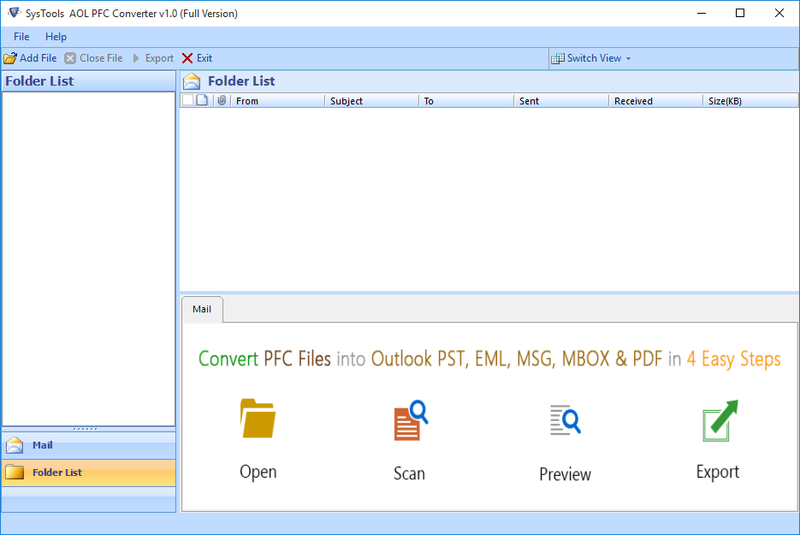 How can I utilize email filtering facility provided by this AOL to EML converter? 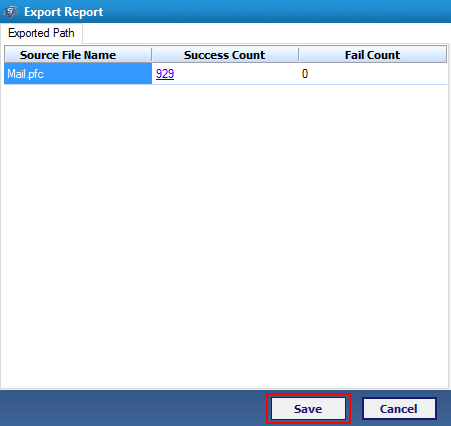 In the preview window, check the checkbox of all those messages that you want to export in EML format. After this, right-click on the same panel and click on Export for further proceedings. Is your application capable of working on Mac operating system? No, our product is Windows-based utility that is only compatible on all versions of it. 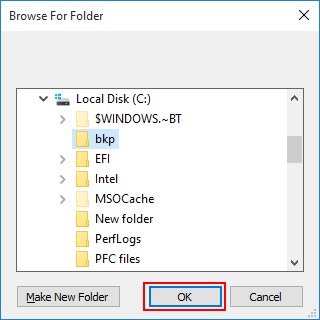 Install program on the system where you want to execute migration. Once completed with this, double-click on the icon of program to open it. "I have utilized trial version of multiple AOL to EML products but, the only tool whose working I was easily to understand is this AOL PFC to EML converter. I was easily able to track this product and without any hard efforts, I transferred all message to eml file format." 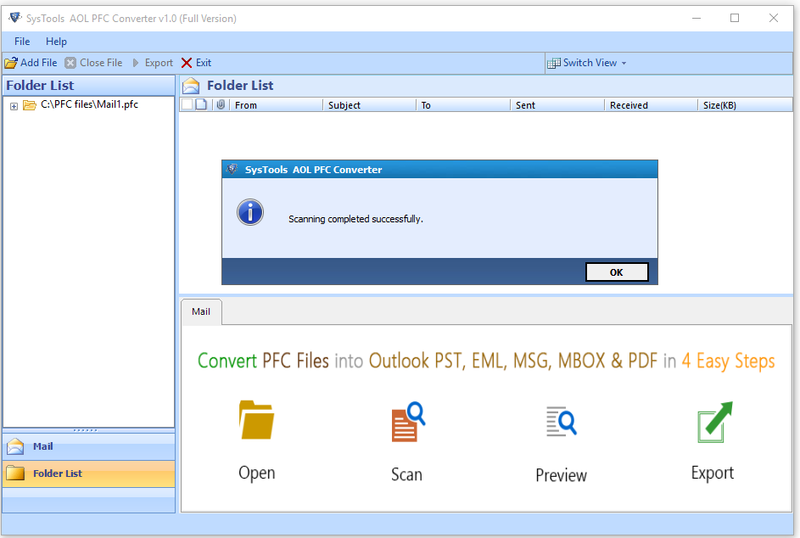 "If someone is searching for PFC to Outlook EML converter then, you are on the best place. Incredible features in affordable cost and impressive way of working by support team is extremely the best. Thank you so much for such a secure and fast migration approach."